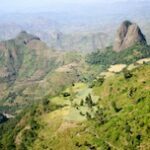 Guatemala Coffee | Artisan Roasted To Order Coffee | Guatemalan CoffeeSmokin'Beans Coffee Co.
An impressive farm with sustainable farming practices. 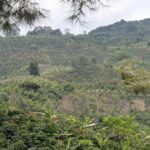 GUATEMALA – coming from a farm located between two looming volcanoes Fina Nueva Granada has become a perfect example of how a farm can become more than a source of delicious coffee. 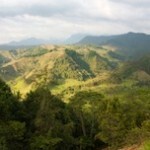 The farm has on site schooling and implements impressive sustainable practices for coffee processing. 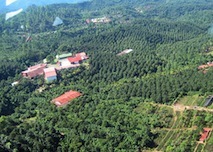 Finca Nueva Granada uses its own clear spring water for pulping and implements shade grown techniques to protect the environment in which is relies so heavily upon. ORDER TODAY/ ROASTED TODAY – Our Guatemalan coffee is gourmet roasted just for you – most orders are roasted and shipped within 24 hours – Monday-Friday (excluding holidays). We never pre-roast to stock as most roasters do. Your order will be custom roasted – it will arrive quickly – super fresh, and just the way you like it. Sweet nutty and honey flavor throughout, pecan/blackberry center, a spiced apple finish. Holiday Blend is truly a celebration of peace, love, and joy. This peaceful blend is great anytime… especially when shared with family and friends during the holiday season. It has a way of adding something really special to the festivities and is a treat to share with others.